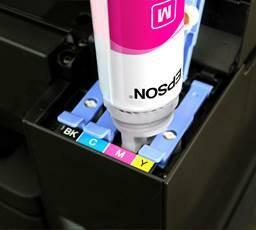 Sick and Tired of Changing Printer Cartridges? Epson’s New EcoTank Range is the Answer. ​Although they have their pros and cons, cartridge-based printers can sometimes be more troublesome and frustrating to use than you’d like. Although they have their pros and cons, cartridge-based printers can sometimes be more troublesome and frustrating to use than you’d like. Ink cartridges always run out too fast, can be messy to swap and contribute to landfill (if you don’t recycle!). They add a staggering cost of upkeep to your printer experience. Ever shaken a cartridge like a ketchup bottle, desperate for the last drop of ink? Us too – it’s a sublime moment of frustration. Yet, for all these pain points, we continue to put up with ink cartridges. It was only a matter of time until a suitable alternative emerged. Refillable ink tank printing solutions (also known as continuous ink printers) like Epson’s Ecotank range are that alternative. Buying a cheaper cartridge or toner-based printer might save you some money in the short-term but a printer is almost always a long-term purchase. And the long-term is where many customers lose money on the cartridge model. Think of how much you've spent on ink in the past two years. Some printers may be cheap, but the ink will cost you, again and again – and that cost adds up. If you don’t like the sound of that, you will probably like what Epson’s EcoTank range has to offer. 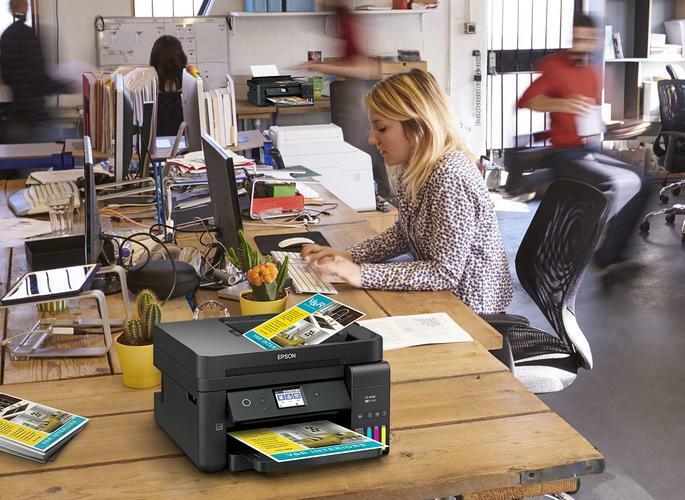 Opting for an ink-tank-based printer solution such as Epson’s EcoTank range is usually the better way to go if you are looking for the best value over the long run. Every Epson EcoTank comes with 2 years’ worth of ink – that’s up to 11,000 pages from the get-go. Ink tank printers empower you with knowledge and a more direct understanding of exactly how long your printer’s ink supplies are going to last. Essentially, they help make sure you’ll never unexpectedly run out of ink again. This offers users added peace of mind, convenience and real-time savings. If you are already looking to minimise the environmental cost of your home or office printer through the kind of paper you use, why not extend that same long-term thinking to the type of printer itself? The EPA estimates more than 375 million ink and toner cartridges are thrown out in North America every year. Most of this ends up in landfill. Australia isn’t much better. According to Planet Ark, Australians send 34 printer cartridges to landfill every minute. No one knows that better than Epson Australia, a top-tier Planet Ark partner in recycling cartridges. Epson’s continuous ink tank printers come bundled with up to two years’ worth of ink. You’re refilling the printer as you go, and that means significantly less physical waste and environmental impact. Have you encountered frustrations with cartridge-based printers in the past? Rest assured, Epson has heard your complaints and offered up a compelling alternative with its new EcoTank printer range. There are fewer upkeep costs and less environmental impact. You don’t have to worry about the messy process of cartridge swaps and when your ink supplies run dry, it’s far less likely to be a surprise. Printer cartridges will likely endure as the no-brainer option for many customers. But when you fully consider the benefits, there are more reasons than ever to seriously consider investing in ink-bottle-based alternatives such as the EcoTank range. Your next printer will probably be a long-term purchase, so why not opt for one that’s been designed to go the distance right from the start? 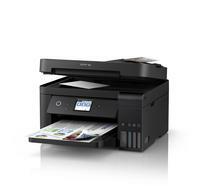 To find out more about Epson’s EcoTank printer range, please visit the Epson website here.